When it comes to local brands, I am proud to say that Belgium brands has a lot to offer. 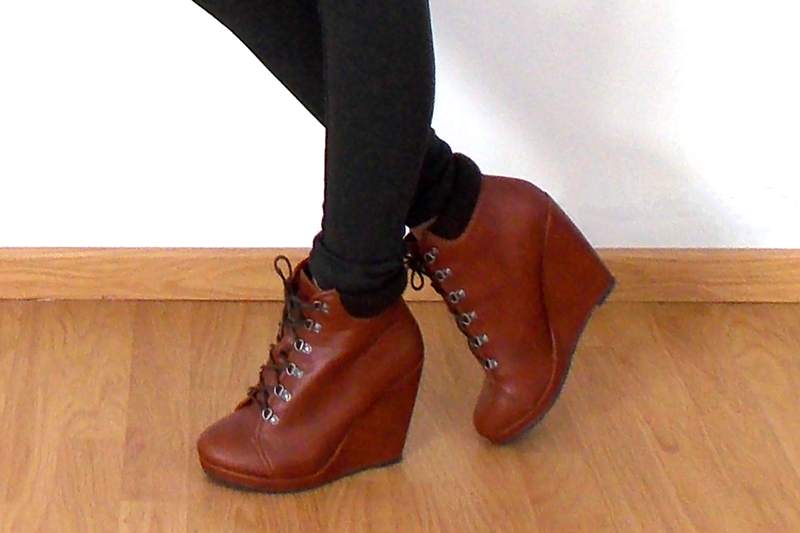 I am 100% for supporting local brands and featuring them on my blog because… well… they are simply awesome! 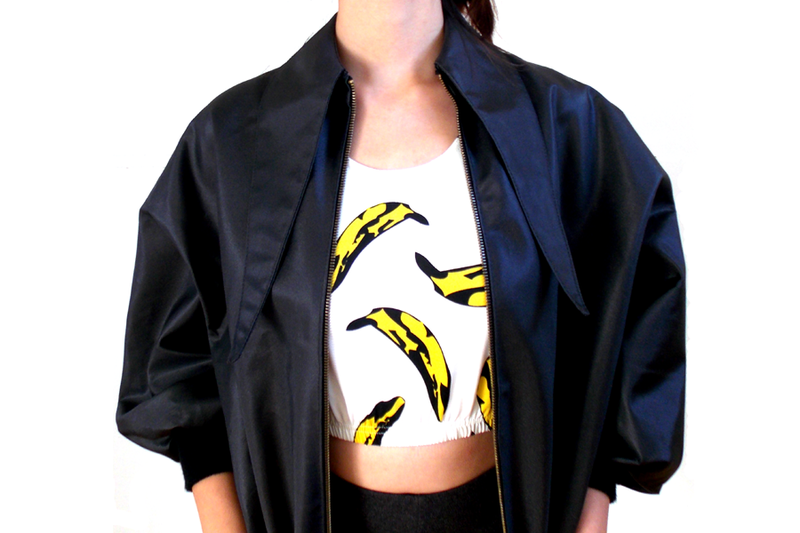 For today’s post the focus is going to be on my newly purchased bomber/bat jacket! The jacket is by Titi + The German Kid (TTGK)! I bought it at ‘De Invasie’ which is basically an event where about 70 upcoming/starting brands show their designs and awesome stuff! I just went there because I knew that TTGK would sell their awesome clothing and I sure wasn’t dissapointed when I came home with my lovely jacket. Since the jacket is rather short, the best way to wear it is to combine it with a crop top! 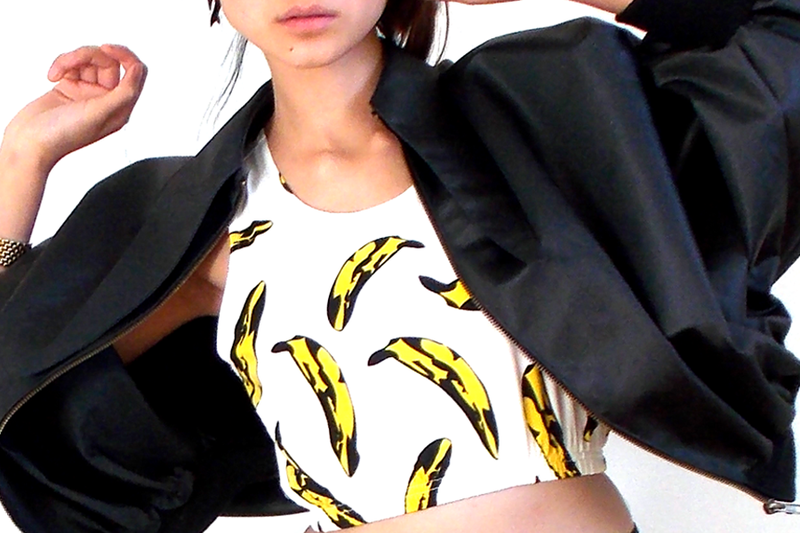 My banana crop top arrived a couple of days ago! It is perfect for the summer and attracting monkeys at the zoo! Make sure you visit the TTGK site and check out their latest ‘Strangers Have The Best Candy’ collection! Supporting local/less established brands is a great thing to do! I like your blog! would you like to follow each other by Bloglovin? awwwww I love banana 😀 kiss ! 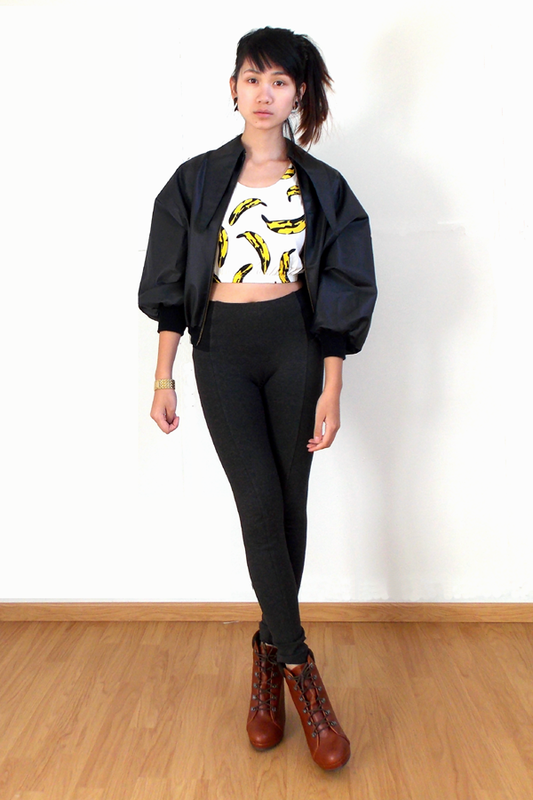 i like a lot the banana`s t shirt. is so original. well done. many kisses from italy. Thanks for your comment on my blog darling! Love this outfit, so cool, the crop top is very funky. and gosh you have beautiful figure!